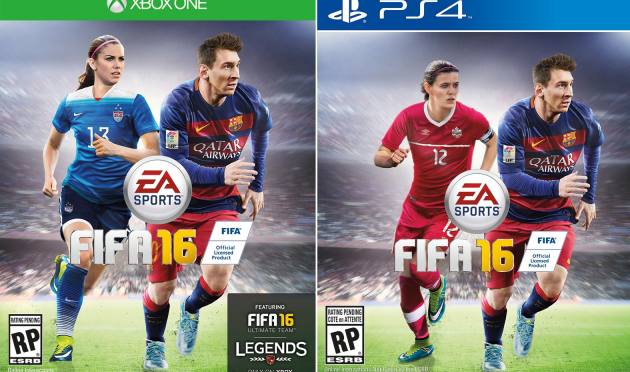 EA Sports have released the player ratings for the new edition of the most popular football game, FIFA 16, so Fifa 16 loyalists can now check the list of top-rated players in the eagerly awaited EA Sports game, which will be published on 25 September in the UK. The ratings are depended on recent performances of the players in both league and cup matches, and are reflected in Fifa 16 and Fifa 16 Ultimate Team. Unsurprisingly， Lionel Messi, Cristiano Ronaldo and Luis Suarez take the first three spots. Two Premier League players are in the top 10 but while Chelsea star and Player of the Year Eden Hazard is an expected name (he comes sixth) the other is a bit more of a surprise. Besides, Manchester City new boy Kevin De Bruyne is given an equal rating of 86 to United captain Wayne Rooney. EA Sports has compiled and released the complete list of the 50 top-rated players for Fifa 16, which will be released on Xbox One, Xbox 360, PS4, PS3, Android and iOS.